It does not retain water; it gives an increase in the dry mass that remains after the course, as well as a powerful increase in strength. This form of the drug is in tablets, although there is also a stavel in the injectable form. For the solo course, you can gain 5-7 kg of muscles. In the official description of the instructions to the drug, nothing is said about its admission to bodybuilding, so if you are looking for instructions, this makes no sense. 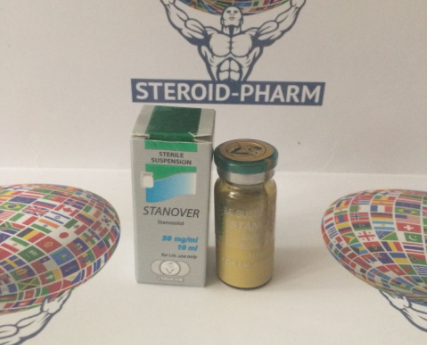 Numerous reviews about Stanover speak of the classic side effects of stanazolol, such as "drying out" joints and in some cases heartburn. This is a minimum of side effects compared to other steroids. Do you order steroids for the first time? Then, read our Vkontakte reviews on this link from real users and you can ask questions to those who have already trusted us! To buy stavors, add the drug to the basket and make out an order. Winstrol is a light anabolic steroid, which is known for its mild effect on the body and the minimum amount of pimples. The company Vermodje produces its own version of an excellent winstroke, called stanover (stanover). 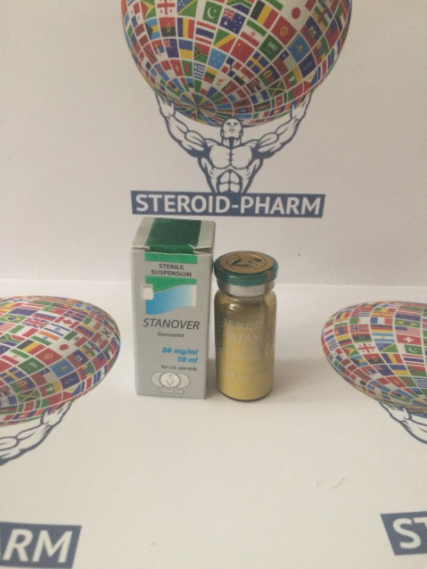 This anabolic steroid has a low androgenic activity, which is why it is often used by women. Male athletes use stavors for drying and burning fat. Due to its peculiarities, the athlete can acquire a relief and stiffness of the muscles against the background of the utilization of water and fat. Also, the course of vinstrol allows you to maintain and even slightly increase muscle mass, so as a result of this course, you will visually be much more. The staover's course is often used in solo format for obtaining relief and burning fat. In this case, the ideal daily dosage will vary from 30 to 50 mg. For stewed fruit compote, you can buy savors as a background anabolic and anti-catabolic. In most cases, it is combined with testosterone, methane and oxymetholone. Pro-bodybuilders a week before going on stage use a trenbolone in total with a staveler, in order to give the muscles extra rigidity. Beginners do so do not recommend. The duration of the solo course is 6-8 weeks. In the compote of preparations, rely on the duration of the esters and the half-decay of the basic steroids. It is worth noting that quite often savor from vermode is used in the final weeks of any steroid course - as a substitute for powerful oral preparations, such as turinabol, anapolone or methane. This method of consumption is inherent in the courses on the mass and the application of Winstrol helps to drain excess water in the end and to facilitate the process of PCT. Use stavela tablets evenly throughout the day, for example every 5 hours. If you are a boxer or a sportsman who needs an increase in strength without gaining weight to climb into his category, then use microdosics - 10-15 mg per day.